A tourist hub since the 60’s, Pattaya has plenty to keep you entertained. Whether you want to take to the water, shop at the floating markets, or check out the neon lights of Walking Street, Pattaya is the ideal Thailand getaway destination. Pattaya is a beachfront town that receives over 4 million annual visitors. 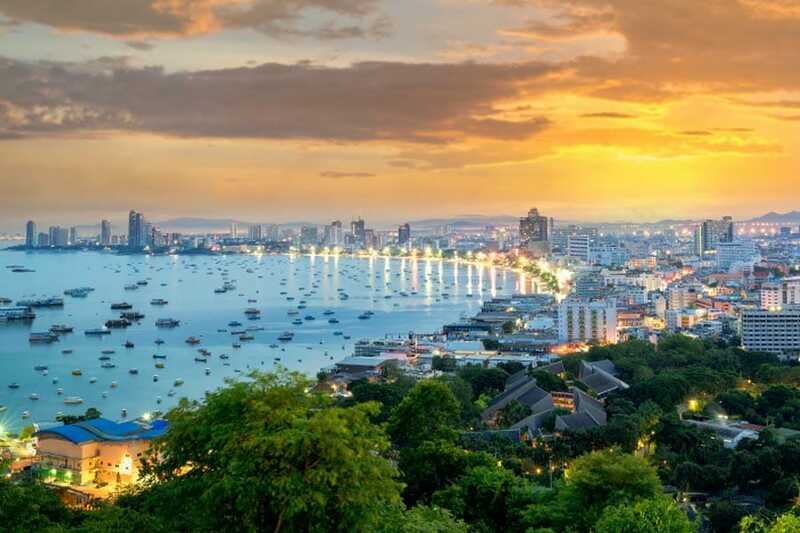 From local Thai families to international travellers, Pattaya offers an exciting mix of the traditional and the modern. Situated on the east coast of the Gulf of Thailand, Pattaya is surrounded by multiple neighbourhoods including Jomtien Beach – a pleasant retreat for those looking to escape the crowds of Central Pattaya. Other activities on offer include golf, horseback riding, bungy jumping, windsurfing, jet skiing, sailing, scuba diving and so much more! Extending further out from the city, visitors will find cultural diversions such as Elephant Village where ancient ceremonial re-enactments are performed. The private Sri Racha Tiger Zoo features tigers, crocodiles and other exotic animals in daily shows, and the Vimantaitalay submarine offers 30-minute trips underwater to see coral and marine life. One of the most visited and highly recommended trips is a visit to the Nong Nooch Tropical Botanical Garden. A 15-kilometre journey south of Pattaya, the 500-acre botanical gardens and orchid nursery is also home to tigers and a variety of beautiful bird species. Pattaya is home to the Million Years Stone Park, Funny Land Amusement Park, Silverlake Winery, Underwater World Pattaya and Bottle Art Museum. If you are seeking further cultural enlightenment, the Sanctuary of Truth can be found by the sea. For tasty food, hand-crafted souvenirs, inexpensive electronics and brand-name clothing, visit Thepprasit Market on Friday, Saturday and Sunday evenings. Make sure to save an afternoon for sunset drinks at InterContinental Pattaya Resort’s beach bar. Pattaya will not disappoint!